A few days ago, Isabel Hardman, assistant editor of The Spectator, tweeted about her experience with an MP. The man in question (who she hasn’t named) referred to her as “totty”. Last night, an MP who I've only met a couple of times actually said to me as his opening gambit "I want to talk to the totty." Have been thinking about whether or not to tweet about it, but actually that is NOT on and lobby women shouldn't have to put up with it. It would be bad enough if this was an isolated incident, but as so often is the case, what this story has done is empower other women to talk about their experiences, and the really damning thing is how widespread this sort of behaviour is. It’s been a few years since David Cameron told Angela Eagle to “Calm down, dear”, but women in contact with male MPs are still being patronised and subjected to sexist remarks and unacceptable actions. Since Hardman’s story broke, other female journalists have talked about their experiences. Julia Hartley-Brewer, journalist and broadcaster, told Sky News that a current Cabinet minister repeatedly put his hand on her knee during a dinner at the Conservative Party Conference several years ago. News presenter Cathy Newman talked about several incidents, including a Lord feeling her bottom and a peer sending inappropriate texts. Sophy Ridge, a Senior Political Correspondent, has had MPs assume she was the “weather girl” or working in the fashion section. And in recent months, there have been stories from women MPs, who are in a similar boat as journalists, it seems. Dawn Butler, Labour MP for 11 years, was taken to be a cleaner by a male MP (which is also indicative of the underlying racism that is displayed by our elected representatives). Meanwhile, Jo Swinson, who was a Lib Dem MP and minister in the previous parliament, was mistaken for a secretary. It’s also worth noting that these women in general are pretty established in their careers or hold quite high positions. Bear in mind, then, that this is surely the tip of the iceberg, as women in more junior roles, or indeed the women who actually are the secretaries and cleaners, will be much less likely to publicise their experiences, as they might be less confident that they will be supported and listened to and fear for their jobs. In addition, it’s a demonstration that seniority isn’t always a bar to being treated badly: the fact you are a woman comes first. I’m all too aware that this is the sort of story that some people will not see the point in pursuing. Either they see the remarks as just a bit of humour or innocent mistakes, or alternatively, they may see them as sexist but not worth making a big deal over given how many other problems there are for feminist-minded people to grapple with. 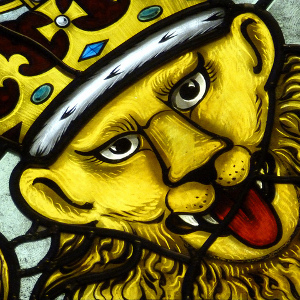 So let’s go through a few reasons why something as seemingly small as an offhand comment is worth highlighting (and I’ll try be more analytical than just yelling, “This is 2016, people! 2016!”). Firstly, clearly, there is the immediate impact on the women subjected to this sort of behaviour. These comments and actions demonstrate how much they have to overcome to further their careers, because of the assumptions in their working environment that they are outsiders. And this is a worry to them but also a concern for the wider population. Just under a third of cabinet ministers are women. Women only write about a third of political stories, with men dominating higher positions. But having women in positions of power and responsibility is likely to improve the lives of women in general. It’s not as simple as suggesting that all women always work in the interests of all other women. It’s about making conversations about gendered issues and effects normal rather than fringe. In Parliament, the real sexists aren’t those who have had too much to drink at a party and stumble over with a misplaced chat up line. They are the ones who lock women out of senior government positions. The MPs who glibly vote through legislation that could have a detrimental impact on women’s lives. The Cabinet minister who once told a colleague that mothers “just can’t manage” the top government jobs. I’m totally with Ridge regarding the awfulness of the sort of examples she gives. It makes my blood boil to know how these sort of things go on. The thing is – I think there might be an overlap. The kind of person who sees a woman in the same place as him and assumes she can’t have the same job as him is unlikely to proactively (or even passively) enable women to advance into senior government positions. The kind of person who sees women as sexual objects even in a professional environment is unlikely to ask for or pay heed to an analysis of the gendered impact of legislation. And the kind of person who calls women patronising names is unlikely to be a champion for mothers in the workplace. I don’t trust these men to represent my interests. This is about more than whether being called “totty” can be considered an innocent remark or not. The men responsible either don’t know that they’re behaving poorly or they think they can get away with it. What this points to is the need for an attitudinal shift. Here’s hoping the publicity around this incident and the others preceding it is a catalyst for change. The image is by Daniel Weir and is used under a creative commons licence. 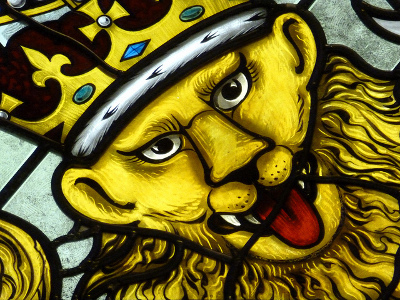 It is a close up photo of a stained glass lion with a crown on its head, its tongue hanging out its mouth and teeth on display, which is in the Houses of Parliament.